In this tutorial demo, we will see How To Install Statamic – The Laravel Based CMS on Mac. Statamic does not require the database .So it creates a faster, more productive way for you to build, manage, and version control beautifully creative, bespoke websites. Statamic is made on the top of Laravel, the most modern, robust, and secure PHP framework ever created. 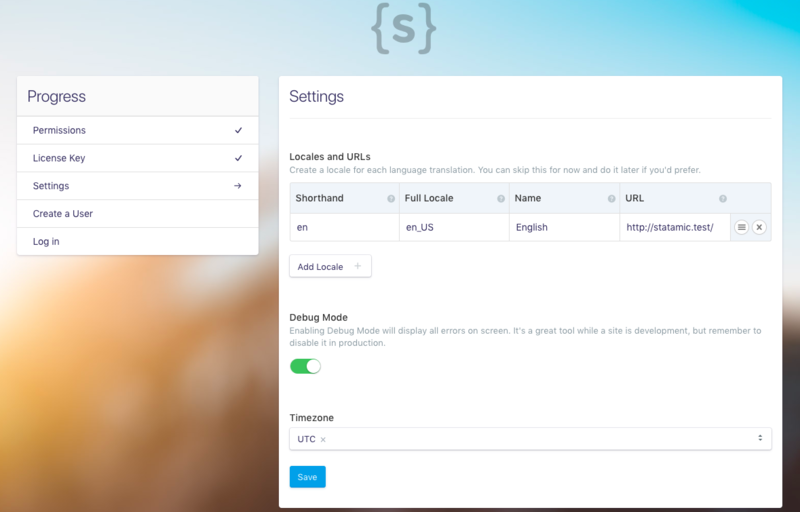 The Statamic includes most (if not all) of the features you would typically need to create an informative and blogging websites If you want to take your website to the next level quickly, cost-efficiently, and securely, then Statamic CMS is for you. Actual Statmic CMS is not free, and you need to buy the license to use on the production version. You can find more on this page. But, for development, they are allowing us to use the free version of the CMS. 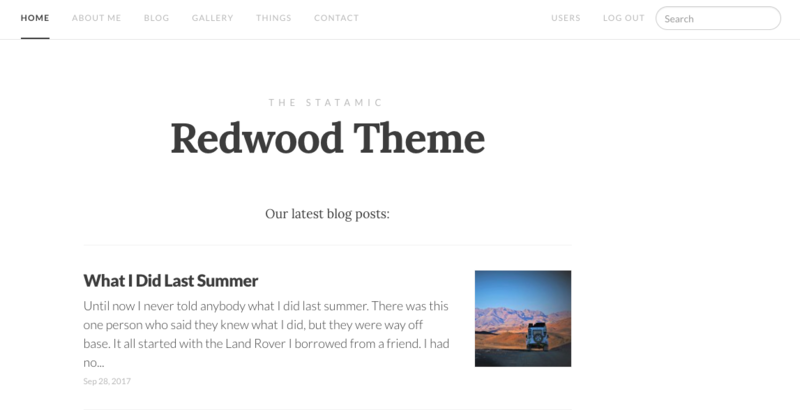 So for this tutorial, I am using the development version of the Statmic CMS. You can download the development version from this page. Provide your email address, and you can download the zip file containing the CMS. Statamic has the few server requirements. Statamic v2 is built on the top of Laravel, so as a rule of thumb — anywhere around Laravel 5.1 runs, Statamic runs. After downloading the zip file, you need to extract it to either your server root or in my case I am using Laravel Valet, so my root is the sites folder. So I will unzip the project inside that directory. Now, we go inside that folder root and open the terminal and give the permission. Your project folder looks like this. Now, since my Laravel Valet is running, now I can access the website using the following URL. Since my project name is statamic, I can access it like above URL. Now, our home page is running, but other pages will not work because we need to set up the URL rewrite. So, let us do that using the following command. Please make sure, you are inside the statamic root folder which we have downloaded. Now, we have set up the rewrite, now we able to navigate any pages with the proper response. Right now, we have just seen the frontend and not the backend. For that, first, we need to create a User. So type the following URL in the browser. You can see the page like this. Please check, if your server is compatible with Statmic. Otherwise, please upgrade it and then come back here. Mine is compatible. So let us go to the next step. We can continue with the trial mode. If you are on the production version, then you should have the license key. By default there is en, but you can add as you wish and also turn to debug mode on. 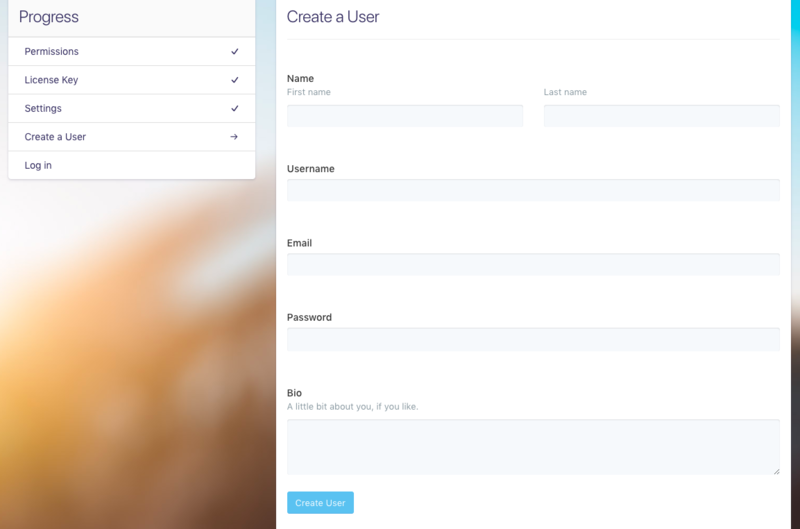 Create a statmic backend user. Fill the details and you will be redirected to the dashboard. Finally, we have successfully installed the Statmic CMS on Mac. 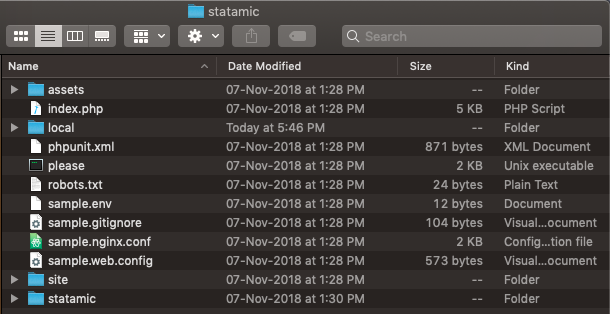 How To Install Statamic tutorial is over. Thanks for taking this demo.